Fourteen-year-old Leven Thumps (a.k.a. "Lev") lives a wretched life in Burnt Culvert, Oklahoma. But his life is about to change and his destiny be fulfilled as he learns about a secret gateway that bridges two worlds -- the real world and Foo, a place created at the at the beginning of time in the folds of the mind that makes it possible for mankind to dream and hope, aspire and imagine. But Foo is in chaos, and three transplants from that dreamworld have been sent to retrieve Lev, who alone has the power to save Foo. Enter Clover, a wisecracking, foot-high sidekick; Winter, a girl with a special power of her own; and Geth, the rightful heir to Foo. Their mission: to convince Lev that he has the power to save Foo. Can this unique band of travelers help Lev overcome his doubt? Will Lev find the gateway in time? 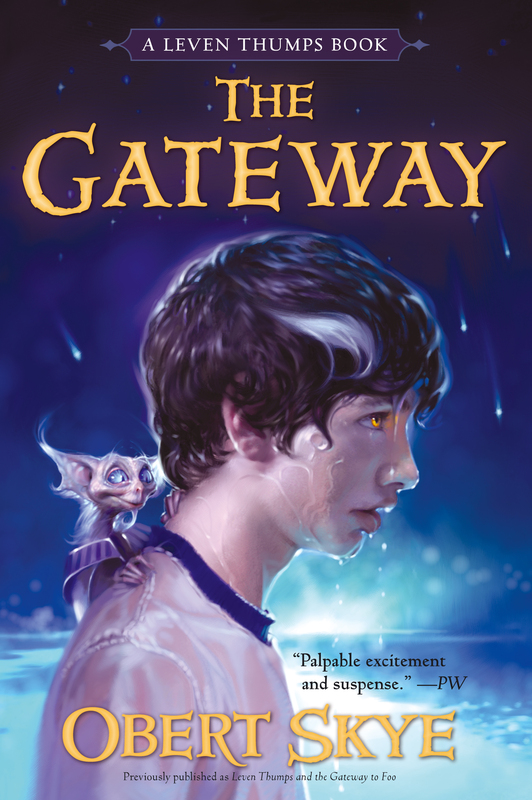 Or will Sabine and his dark shadows find the gateway first and destroy mankind?